I have mentioned before about how important it is for us to make sure that Isabelle has a healthy diet and the best quality food, so we try to make as much home-made food as we can. Sometimes due to a tight schedule it’s not always possible for us to cook a whole meal from scratch especially when the Mr is working late and we all eat at separate times. 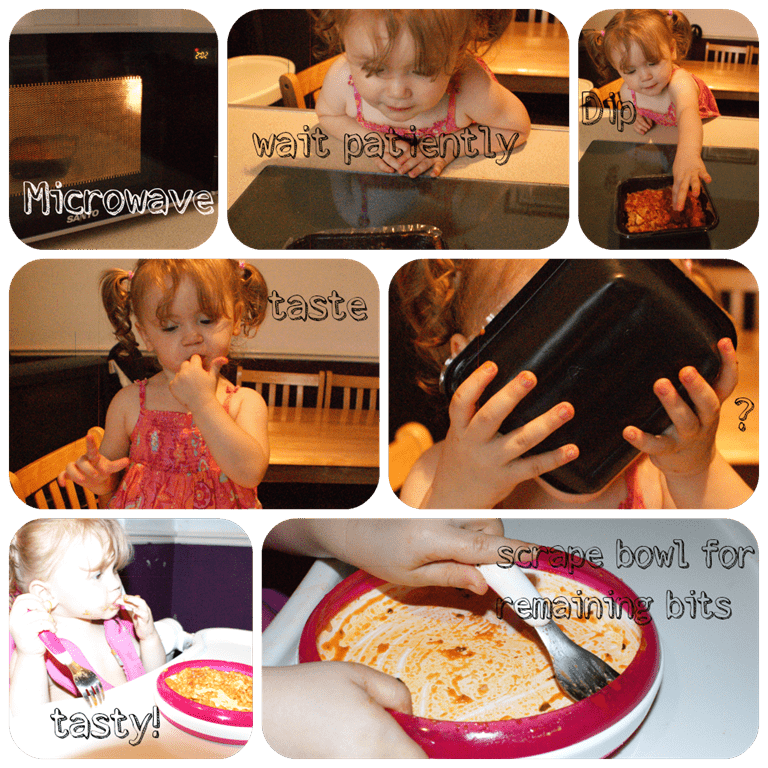 I’m not one for just sticking something in the oven for Isabelle and the thought of microwave meals had never even crossed my mind for her, that was until we were asked to review for Little Dish. 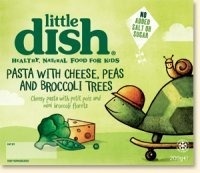 I discovered the wonders of their meals that would be perfect for my little toddler. 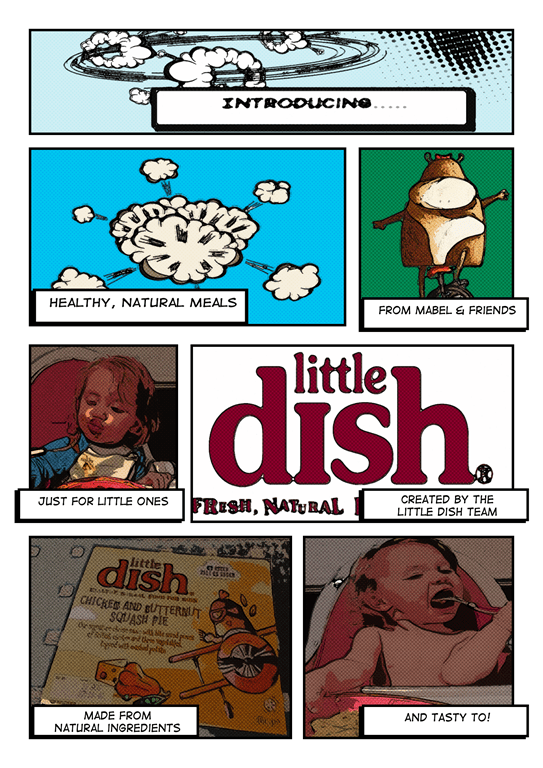 What makes Little Dish different? Isabelle was sent a selection of 4 meals to put to the test and each day she chose her own meal from the fridge. 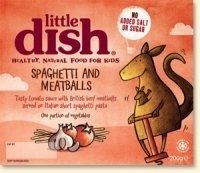 Each meal is adorned with a character on the packaging which is a great idea for little children, Isabelle knows which meals are her favourites by locating the character on the front. Isabelle is a big fan of chicken but not so keen on red meats so this is the perfect meal for her. Containing succulent bite-sized pieces of British chicken breast, tomatoes, butternut squash, sweet potato and cheddar cheese all in a lovely risotto base. Isabelle is partial to risotto and it is one of her favourite meals so it’s no surprise really that she wolfed the lot down without spilling a drop (that’s quite impressive for a 20 month old) The chicken was perfectly cooked and it was the perfect size for her little mouthfuls, she managed to eat the lot with no problems. It is quite a large portion and my little girl is very dainty and never usually eats that much for her dinner, so it goes to show that the Chicken Risotto must have been very tasty indeed for her to finish the lot. Isabelle loved tucking into the British beef meatballs that were cooked in a tasty tomato sauce and served with Italian short spaghetti. It proved to be a firm favourite and the meatballs were the perfect size for her. Isabelle had no trouble eating the pasta either which was surprising as I expected her to struggle getting the spaghetti onto her fork. She ate this meal in record time and declared it “Mmmmm nice”. We added a little sprinkle of cheese over the top and served with a child sized portion of garlic bread. 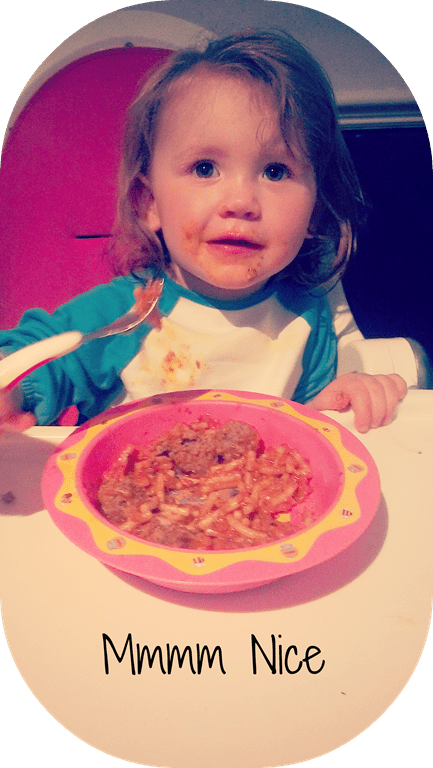 The spaghetti and meatballs were a huge hit and provided Isabelle with one of her five-a-day. I’ve never had any trouble getting Isabelle to eat her vegetables but I was a little doubtful that she would entertain this meal. When put to the test I was wrong, although she wasn’t as enthusiastic as she was when eating the spaghetti and meatballs she still cleared her plate. The lack of meat in this dish didn’t phase her at all and the portion size was quite large so we managed to get two meals out of it. Serving one with a small slice of quiche and the other with salmon. The meals on their own are complete, I just added little bits from what we had in and the meals went that bit further. Although chicken is Isabelle’s go-to meat I didn’t hold up much hope for this meal. Not because it wouldn’t be tasty but more due to the consistency. The consistency is very much like that of a fish pie and Isabelle is not a fan, I can give her the components separately but together she refuses to eat it. Isabelle proved me wrong again and took to her evening meal whilst watching Curious George. She had no problems with the consistency even though the potato ended up being a little runny before stirring. The chicken was diced into small chunks and was the perfect size for her. 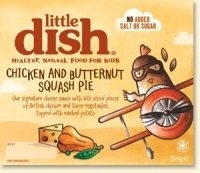 The butternut squash provided a sweet flavour and the mashed potato topping was a welcomed creamy and smooth addition. We served this meal with homemade cheese and onion potato wedges and garden peas and again being a large portion we managed to get two meals out of it. 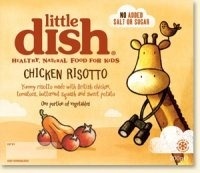 Overall Little Dish meals are great quality and are always guaranteed to go down well with Isabelle. They are the perfect solution if we need to produce a meal for Isabelle in a hurry as well as being packed full of nutritious ingredients. I love knowing that all ingredients that are used are 100% natural with no nasty additives. They are the perfect portion size for toddlers so I do not feel like I am over facing her with food. Finally they are quite reasonable in price, since we received the meals to review we have been purchasing our own and halving some of the meals down as they are quite a large portion size. As a special thank you to our loyal Sainsbury’s customers, Little Dish are giving away a free Little Dish meal for every 2 bought in Sainsbury’s. All that they ask is that you send your receipt(s) in to the below address with your name, address and email, along with if you’re happy to be added to our Little Dish family. Alternatively, email a photo of the receipts to receipttoeat@littledish.co.uk with the same information. We received no financial reward for this post, however we did receive the item for review purposes. For more information please see our Disclosure Policy. 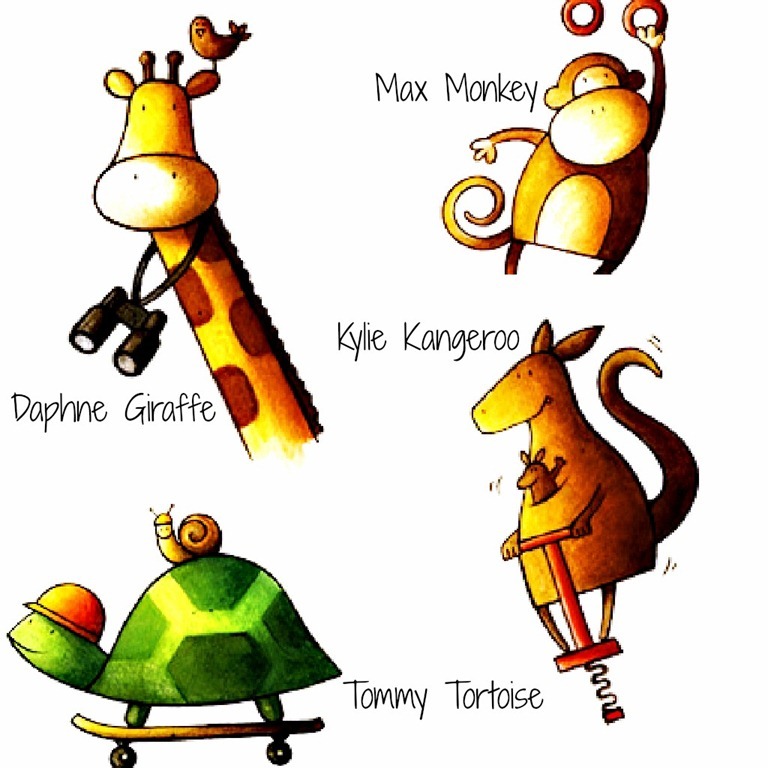 Next articleBaby Walkers – Are You Using Them Properly?